John King. Ultiphotos. 2015 USAU HS Western Regional Championships. The people who coach ultimate are SAINTS. Most of the coaches I know don’t get paid, or get paid a truly paltry amount for the time and energy they put into their teams. Many of them balance coaching with full-time work, as well as parenting and/or playing at a high level, feats that never ceases to amaze me. They do a terrific job. But the culture and methodology around coaching ultimate in regards to self-care, athletic performance, and injury reduction needs to change. Functional performance training (FPT) has enormous potential to do this. It’s an incredible addition a coaches’ toolbox, but not enough are taking advantage of it. tl;dr: We have great strength & conditioning (S & C) resources for players right now, but not enough focus on helping coaches use FPT with their teams, and I have some ideas on how we can change that. If you’re a coach, can you please take a minute (preferably after you read the article) to tell me what YOU want or need to know about FPT in order to help your team? Why focus on helping coaches learn FPT concepts? 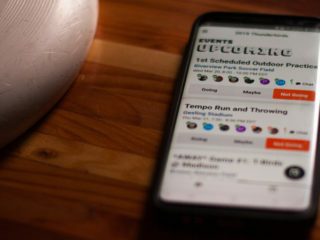 The sport of ultimate is growing at an incredible rate. Whether youth or adult, many new players haven’t had much sport experience of any kind – that’s a lot of untrained people participating an incredibly physically demanding sport. 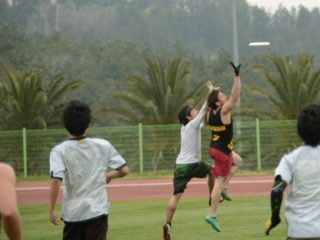 They need to learn how to play ultimate, but they also need guidance on becoming better athletes for their own health and to allow them to contribute meaningfully to their team. There’s also another new-to-ultimate demographic: those who are well-trained athletes from a different sport. Often people in more established sports like soccer or basketball have better access to resources like S & C coaches, as well as lifting programs and scholarships to cover training costs. It’s understandable if they feel like there’s less investment in them in terms of team athletic programming in ultimate, and they might not know how to take care of themselves or train well without the oversight of at least some person devoted to that purpose. Coaches have more influence over the players they coach than any other authority figure can. Players trust them and listen, especially youth players. Coaches almost always spend a good chunk of weekly time with their players. Even as a team’s S & C coach, I see teams 1-2 hours per week at the maximum, and I can only be the S & C coach for a couple teams per year! Most ultimate coaches don’t have the knowledge I do to help their players excel in a way that’s balanced for their bodies. Often the sidelines are littered with the injured, tweaky, and exhausted. And there are always the players on teams who the coaches know need a little better running/cutting technique in order to change their game and help them take over. The issue is that as a coach you only have a limited amount of “voice,” and you have to be pretty strict with what you use that voice for. What’s going to best help your team? A little FPT can go a long way in helping ultimate programs reach their goals, but it’s still seen as a “nice-to-have” and not a “need-to-have”, so it is easy for it to get left out when coaches are dealing with issues of throwing, catching, offense, and team chemistry. Training individual athletes is woefully inefficient compared with training coaches. This isn’t to say that a little personalization doesn’t go a long way…I’m definitely a proponent of movement evaluations and taking the time to tweak form, because I know those things make huge differences for players. However, I’ve worked with RISE UP a bit the last couple years, and they’re a great model for teaching the teachers. If coaches rep and understand the most efficient way to teach a drill, their coaching becomes much more effective, and they develop more confidence in themselves as teachers. My season for RISE UP was an attempt to get the concepts I’m working on with teams out to a larger audience, to teach the teachers, regardless of country or player skill level. Coaches don’t need to become S & C professionals in order to help their team; they need to understand how FPT fits into what their team wants to do. Not the easiest task, but one worth trying to accomplish. Are the FPT resources currently available up to the task of training coaches? These are only a few of the ultimate-specific FPT resources out there, the ones that I’m most familiar with – I’m always looking for others, so please share ‘em if you’ve got ‘em! The Ultimate Athlete Project: What a great training tool! In the past 6 months I’ve been participating in the individualization of the programming, as well as writing an Ask Ren column, and I’ve been very impressed with the product. It’s incredibly thorough, scientifically-based, and Melissa does an awesome job of continuously incorporating feedback from participants and new research into the structure. It doesn’t seek to train coaches to train others, though – it provides programming that coaches can take personal advantage of if they wish, and, of course, an entire team can sign up for it and participate together. Melissa says that coaches using the programming to educate themselves and become better was one of the inspirations for the fabulous Ultimate Results Coaching Academy (URCA) conferences – more on that later. But the UAP doesn’t seek (understandably) to cover the bases of good cuing, coaching movement, or injury management. MPFPT: Tim has put out more quality video content than anyone else who focuses on ultimate. 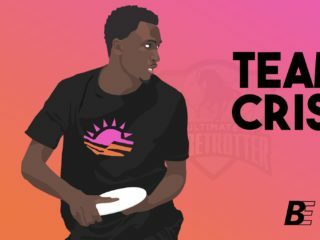 His packages are low-priced and full of awesome information – I truly believe that anyone who wants to know how to best train for ultimate would be well-served by absorbing all of the great stuff he puts out! MPFPT teaches an individual everything they need to know about their own body and how it relates to their own game, but (and this is true of my own resources as well) MPFPT doesn’t seek to specifically coach the coach. You can have a very deep understanding of training for ultimate and still not know the best ways to impart that info to your teammates and/or players. Being an awesome cutter is a different skill set than teaching awesome cutting – just because you’re good at one doesn’t make you awesome at the other. The same goes for deadlifts, dynamic warm ups, and cuing awesome arm action in sprinting drills. Tim coaches his own coaches (as I plan to do more of once I have my own space) and that increases the reach of his information, but it’s not the same thing as putting the knowledge into the minds of the thousands of ultimate coaches across the country and the world. RenFitness: As I work towards opening up my own ultimate-specific membership facility, I’ve had to analyze the reach and scope of my business, and while so far I’ve created strong information-delivery systems through social media and brought attention to the importance of certain S & C principles, I see the inadequacies of my programming. My YouTube channel is a free resource that’s chock full of good information, and I regularly repost articles (and write my own for this magazine) that I hope people read with the intent to develop themselves and maybe even others. But I haven’t put energy into training S & C coaches like Tim has (except for my awesome intern Emily) or created/run clinics specifically for coaches. I’ve done what others have done: run clinics and put out info for players, hoping it’ll appeal to the coaches that are players as well, and therefore trickle down. I also do S & C work for specific teams, consulting with coaches to teach the players what they need to know in order to strengthen their warm ups and systems. But often those lessons don’t have the sticking power that I’d like because I’m not coaching the coaches. RISE UP: I’m amazed by the depth and breadth of the content available on the site, and even more amazed by the amount that Mario and his coaches travel and commit to working with players and coaches all over the world. It was Mario who gave me my first real opportunity to get on the ground with a group of coaches when I taught at the RISE UP coaches’ conference in Colombia this spring. I was struck by how many brilliant and passionate coaches were on the field/in the classroom with me. I was given the chance to help them understand how to coach running technique, how to properly cue their athletes during warm ups, what to suggest when a player complained of an injury…all things I would do for their teams if I happened to be standing there, day in and day out in Colombia. Three hours of my time, and over 30 coaches (and therefore their teams) got all this information. It was this experience that really got me thinking…isn’t there more I could be doing, WE could be doing, to further the education of coaches and the responsible growth of the sport? S & C professionals can make more of an effort to teach the teachers. The best example of this I’ve seen (and been a part of) is the Ultimate Results Coaching Academy. What a huge undertaking for Melissa, but what an amazing platform for this kind of work! We need more opportunities like this where people can get access to coaching information for free (and come back to it whenever they want for a small fee). But we also need more easy-to-digest resources specifically for coaches. It wouldn’t take a big shift for any of us, and of course we’re all doing this to some extent in the ways I mentioned in the previous section. I’ve written in some of my other articles about the value of “the translation piece” – the time you spend working on running/cutting/jumping field movements, but with a focus on translating strength/power you’ve gained in the gym to on-field performance. It’s this piece that’s missing from most of our FPT resources so far. This IS exactly what I’m talking about. If we committed to this concept and created more specific programming around coaching coaches, we could really widen the impact of our services. To that end, one of the new programs I’m launching when I open my RenFitness gym is a Coaches’ Program, which will be available locally and eventually (hopefully soon) virtually as well. It will be a series of seminars and workshops for coaches devoted to one thing: getting strong S & C concepts into your team’s culture and operational structure. Providing space for pod strength training workouts will help as well, and teams will have a chance to better translate gym training to on-field performance using the big swatch of indoor turf I’ll be putting down. I hope to continue to work with RISE UP, travel and add the FPT voice to the coaching conversation, and more provide RenFitness video content on the RISE UP website soon. Coaches can make better use of the resources currently available to help their teams. The UAP is $15 a month. Can you encourage your team to join and set up pod workouts? Seek out a local trainer to do a one-time strength training or running technique clinic, or invite me or other ultimate-focused S & C coaches to visit, then get your team there and participate yourself. Deep-dive into Tim’s FPT programming and into my offerings, then set a goal to bring a new training concept to your team every week, either in person or via an email with a YouTube link. Some coaches do this and their teams benefit greatly. This requires time, dedication and, in some cases, cash to accomplish. My chart outlining what kinds of FPT are best for which specific kinds of teams might be a good place to start organizing your education in this! Most importantly, coaches can begin to understand the benefit to their teams of using some of their coaching voice to bring FPT concepts into their team culture and then learning the specific ways to accomplish that. If a coach asks me to do a speed and agility clinic with your team, often I’m paid and the coach lets me do my thing. But a lot of the time the coach doesn’t watch me, and the coach doesn’t learn what I’m teaching or the cues that I’m using to eke the performance out of the athletes or to fix that kid’s knee stability. That means that after I leave, players forget what they learned, and the coach never learned it in the first place. I think that’s because most coaches think it isn’t their job to think on that specific axis, or try to reinforce that kind of information – I’m the expert, right? But what coaches might not realize is that it’ll make the rest of the job easier if they’re able to teach and incorporate some basic self-care/athletic prep/movement strategies with their team. It’s worth taking the time to welcome some of this stuff into the image of yourself as a coach. One hour with me or another professional isn’t going to have the same effect on your team as you working with them (even a tiny bit) every time you practice. I’ve said before that I’d like FPT to begin to be seen as part of the puzzle instead of an add-on that doesn’t ever quite stick the way we want it to. That change requires us S & C instructors to get better at teaching you what you want to know, but it also requires your determination to make it part of your vision for your team. If you’re a coach, I want to help bring you the info you want and need to succeed in incorporating FPT concepts into your coaching…can you please help me by sharing what you need and want to know? My best guess isn’t as good as your real input. I promise I’ll use it to develop better resources and programs for you!